Is there a better alternative to Padlock? Is Padlock really the best app in Security category? Will Padlock work good on macOS 10.13.4? 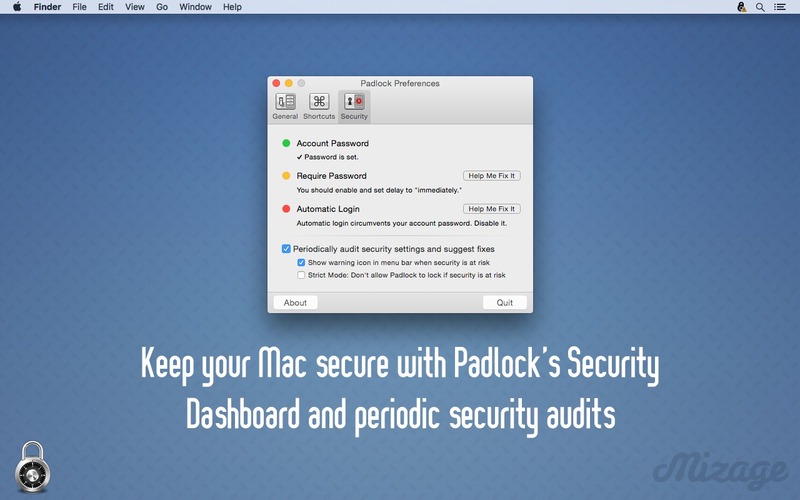 Padlock allows you to lock your Mac by either starting the screensaver or putting the screen to sleep. 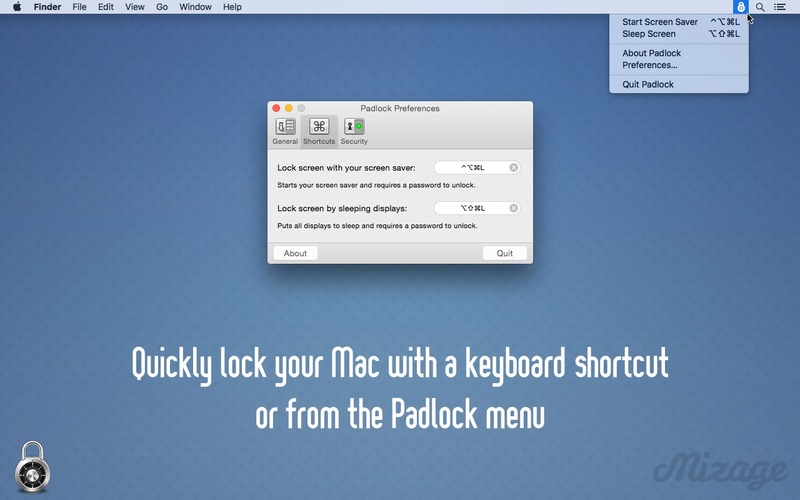 Each of these locking methods has its own global shortcut, or you can access either from the Padlock menu bar icon. In addition, Padlock includes a Security Dashboard that will check important locking related security settings and notify you of problems. If a problem is found, the Security Dashboard will help you remedy it. Padlock needs a rating. Be the first to rate this app and get the discussion started!